Up from the Depths? 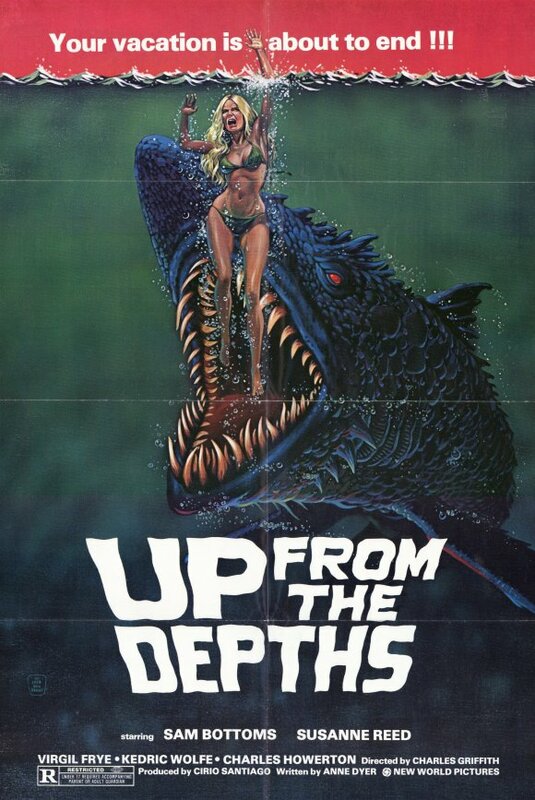 One of the many Jaws related Nock-offs and I pretty much heard how terrible it was… But then again was it that bad? Well it’s one of the better Jaws Rip-Offs I have seen and this ones camp appeal and style makes the film (And I being serious). 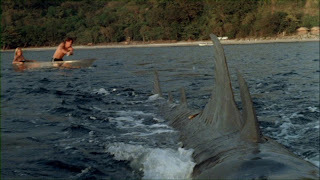 A series of mysterious aquatic attacks indicate the presence of some huge, previously unknown giant species of shark that has risen to the surface and is preying on tourists, fishermen, researchers, etc. A local beachcomber and scam artist, Sullivan, will have to put out to sea to defeat it. Though the biggest problem I had is with all the people on the Beach felling from the water yet causing more damage the shark did? Just remember sharks don’t leave water and the people caused more damage running away…? Maybe just walk and wait for help? It’s pact with Humour that isn’t designed to be funny and stuff that happens like that by accident but I laughed and the story is very entertaining. The acting is pretty poor and most times I had difficult telling if it was dubbed? 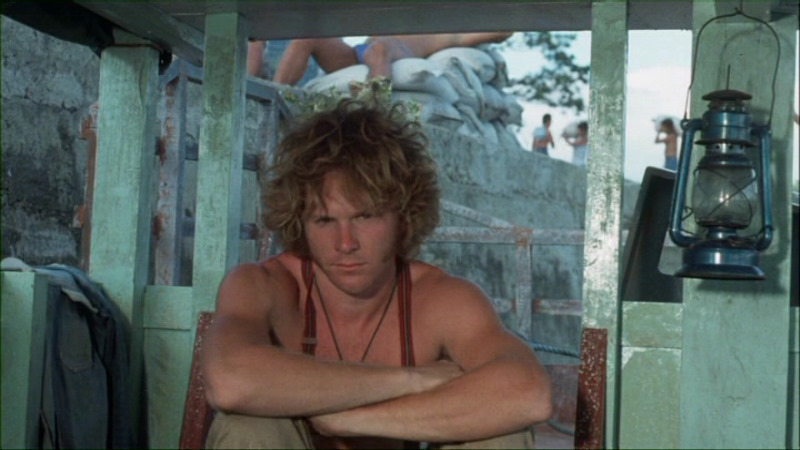 But veteran actor Sam Bottoms (Apocalypse Now) puts on a great performance. Though there is no true direction from the director… Just off the screenplay and onto film but he is able to capture some nice scenery. The Special Effects are just made up off some rather simply solutions (like Miniatures) and the Shark looks like a cross between a Cat-Fish and a Great White. Mostly gore and blood hided the shark but the effects are great regardless. The music is good and the camera angles and shots are the same. Special effects director Robert Short claims he was afraid of water after a child-hood incident, But just about every shot with the Shark he had to get out and push it underwater. Though this impressed people so many years later he went to work on Raiders of the Lost Ark! Played Double Bill with The Brood.